Sometimes you just want a quick sewing project, for those times you want to be creative and achieve instant results. With that in mind I turned to a sewing kit. I have a few of these, I acquired them from a friend who was having a crafting clear out. 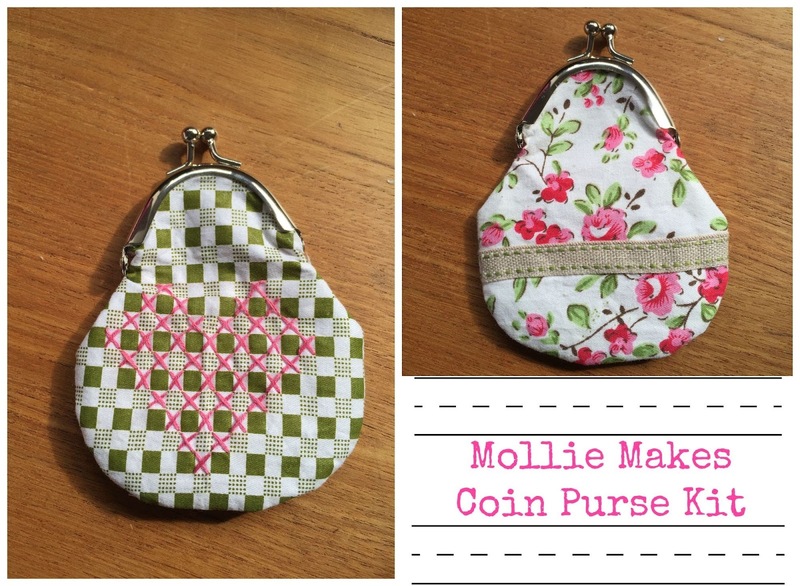 The kits from Mollie Makes magazine were just missing their instructions, which were easily found online to download. I chose a kit to make a coin purse. I decorated the fabrics included in the kit with a little impromptu contrast cross stitching and some decorative ribbon. A little hand sewing, a blob or two of glue to secure the fabric to the purse clasp and I was all finished. I now have myself a personalised purse. It's a shame the kit missed the instructions. The coin purse looks so pretty, it's lovely.